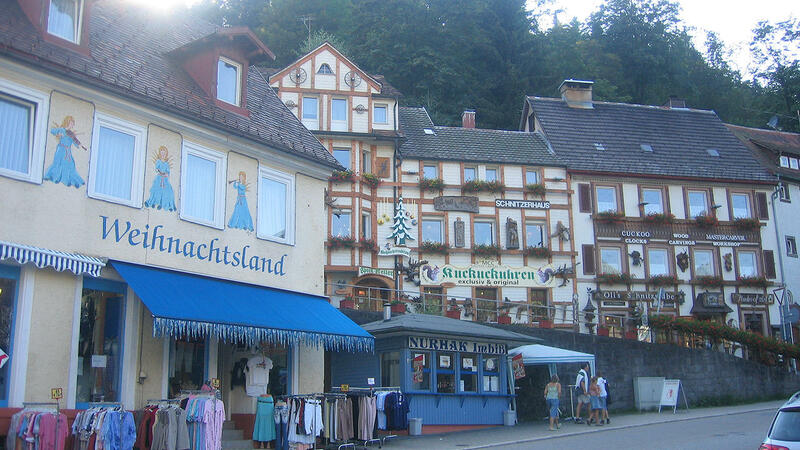 The area around the entrance to the waterfalls is reminiscent of Disneyland; here and in the town centre, a large number of shops offer the even larger number of tourists cuckoo clocks, woodcarvings, souvenirs as well as Black Forest ham and kirsch. 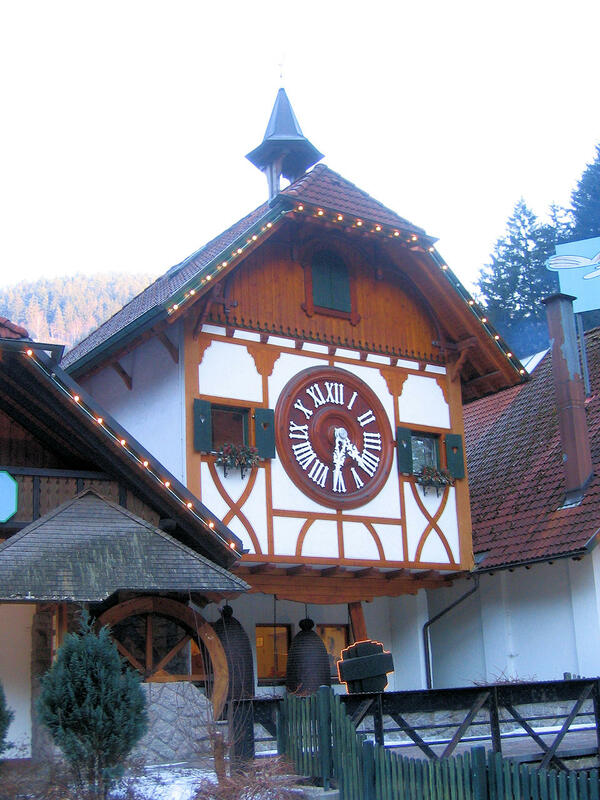 These are high quality craft products for the most part, although there is no shortage of plastic cuckoo clocks 'made in Taiwan'. 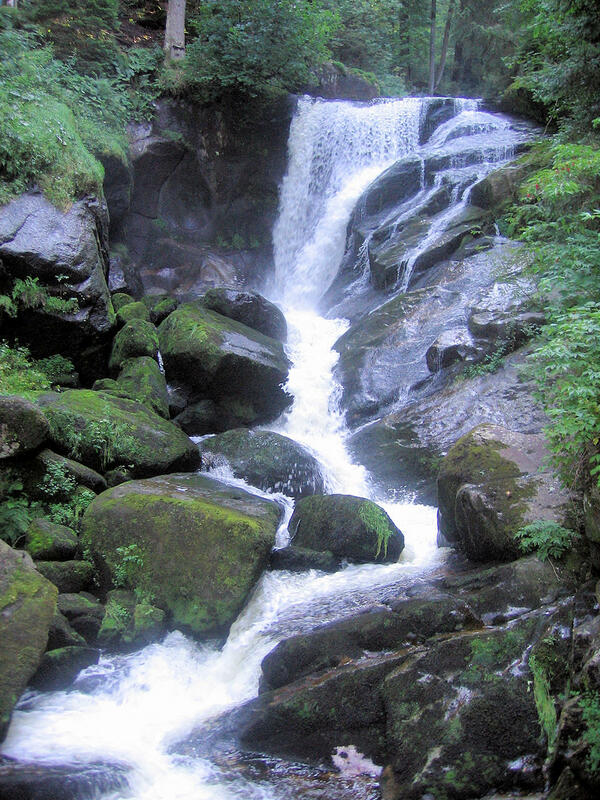 The Black Forest Museum, which is well worth seeing, can also be found directly by the lower entrance to the waterfalls. 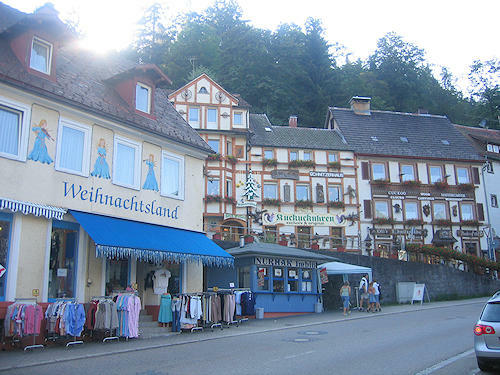 Anyone who wants to escape from the hustle and bustle can easily do so - the countryside around Triberg is fantastic, and after a few hundred metres you will see and hear nothing more of the crowds.